The land Anatolia housed many important civilizations like Hitites, Urartians, Lydians, Amazons and many more. The land itself is also mentioned many times in the old testament and the new testament. In regards of old testament sites: Mount Ararat is located in the eastern part of Turkey close to teh Armenian border. It is the mountain that Noah's Ark was landed. River Euphrates and river Tigris both sourched from the eastern part of Anatolia. South east of Turkey a city called Harran, thats where Jacob and Abraham lived. Not far away from the city of Harran, Antioch is located. Antioch was the city Paul and Peter lived. It was one of the 4 major cities of Roman Empire like Ephesus. Antioch is the city that the first church of the world was built and dedicated to St. peter. Besides that the Christian word ever pronounced in the city of Antioch too, meaning blessed with oil. 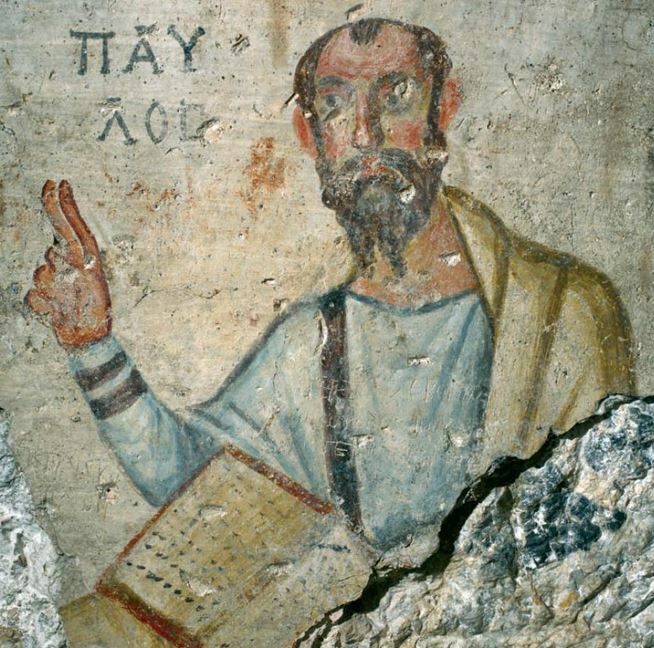 Paul and Peter were among the early Christians who spread the word of Christianity. Paul was born in a city called Tarsus. After a miracle he was converted to be a Christian and made 3 missionary journeys out of Antioch. One of the Pauls contribution to Christianity was not only to convert Jews to the new religion but convert pagans too. He wanted to give them a united name and the first christian word was ever pronounced. In his last of his second missonary journey Paul came to Ephesus with his companions like Luke, Silas, Timothy, Aquila, Priscilla...Promising his companions that he will come back, he departed Ephesus for Antioch. Less than a year he stayed in Antioch and came back to Ephesus in 53 AD. He lived in Ephesus over 2.5 years. Preached in school funded by a wealthy Ephesian named as Tyrannus and in the Synagogue of Ephesus. Both of the mentioned places have not been discovered by the Archaeologists. All the information regarding Paul's time in Ephesus is from the New Testament Acts Chapter 19. During the stay of Paul in Ephesus, Epapharas from Colosae came to Ephesus and met with Paul and later on extended Christianity in 3 cities of the Lycus river: Colosae, Hierapolis and Laodicea. Paul had visitors from Corinth and also received a letter from this church. He wrote Corinthians I as a reply to this letter. He made some miracles while he was in Ephesus. He cured the deceased people either touching them or with the cloths he used. Paul, to be able to earn his living he was selling tents probably in the commercial agora of Ephesus. His companions Aquilla and Priscilla were also wealthy people who made their wealth through tent making. Probably Paul was runing a store with them. Paul leaned this profession from his father and grandfather. Both were the tent makers of the Royal Roman Army. They were gifted with Roman Citizenship. Roman citizenship used to pass through from father to son. Therefore Paul was also a Roman citizen. Paul's mother was a jew and father was Greek. In other words Paul was Jewish and Greek which made him preach in the Synagogue easily and talk with Greeks in the pagan temples of Ephesus. Since he was a Roman citizen, the Greek soldiers were not able to arrest him. Being Roman in Greek cities like Ephesus was having the first class citizenship. Local silversmiths feared loss of income due to Paul's activities. Their income relied on the sale of silver idols of the goddess Artemis, whom they worshipped; the resulting a mob almost killed Paul (Acts 19:21-41) and his companions. Silversmith Demetrius said that Paul is converting people and because of himself they are going lose their jobs. Demetrius started huge riot against Paul in the Grand Theater of Ephesus. People started to shout as "Great is the Diana of Ephesus". Paul tried to enter the theater but his companions did not let him do. From the Prythanion, a city clerk came and calmed down the people. According to some historians Paul was prisoned in the watch tower watching the ships appraching to the city of Ephesus. Afterwards Paul was sacked from the city of Ephesus. He went to north for Troas. During a preach in Troas a boy named Eftikus felt down and died. Paul made a miracle and gave life to the boy. Later, as Paul was passing near Ephesus on his way to Jerusalem, Paul chose not to stop. He stopped in Miletus instead and sent a message to the elders in Ephesus. He gathered with them in Miletus. He continued to Jerusalem and got arrested there. He claimed that he is a Roman citizen and only the Roman Emperor can judge him. He was taken to Rome. Before he got executed he wrote the 2 letters to companion Timothy in Ephesus and letter to Ephesians. Once Paul was in the city of Ephesus. He saw that the Christianity was already introduced. Conribution of Paul the Ephesians was to inroduce the Holy Spirit concept. According to the Roman Catholics before Paul, in 38 AD, 5 years after the crucifiction John the Apostle and Virgin Mary came to Ephesus. Living downtown Ephesus was not a secure place for both Mary and John. Persecution to the Christians was still legal. Virgin Mary and John are lived to live on a mountain not very far from the city of Ephesus. After the assumption of Virgin Mary, John traveled through Anatolia to spread the word of Christianity. In the time of Domitian he was exiled to the island of Patmos. In the island of Patmos, he wrote the book of Revelation addressing 7 letters to the 7 churches in Asia Minor: Pergamum, Ephesus, Smyrna, Sardis, Philadelphia, Laodicea and Thyatira. Revelation 2: 1 Unto the angel of the church of Ephesus write; These things saith he that holdeth the seven stars in his right hand, who walketh in the midst of the seven golden candlesticks; 2 I know thy works, and thy labour, and thy patience, and how thou canst not bear them which are evil: and thou hast tried them which say they are apostles, and are not, and hast found them liars: 3 And hast borne, and hast patience, and for my name's sake hast laboured, and hast not fainted. 4 Nevertheless I have somewhat against thee, because thou hast left thy first love. 5 Remember therefore from whence thou art fallen, and repent, and do the first works; or else I will come unto thee quickly, and will remove thy candlestick out of his place, except thou repent. 6 But this thou hast, that thou hatest the deeds of the Nicolaitans, which I also hate. 7 He that hath an ear, let him hear what the Spirit saith unto the churches; To him that overcometh will I give to eat of the tree of life, which is in the midst of the paradise of God. In John's letter to Ephesus, Ephesus receives praise for its perseverance, but criticism for forsaking its first love. John's 1st letter was addressed to the church of Ephesus. In that day Ephesus was the chief city of Asia Minor and ranked with Antioch and Jerusalem as one of the chief cities in the Christian world. Message was Ephesus change of intensity of devotion to Christ. John called for repentance. To repent meaned not only to remember but also to return. To return to the first enthusiasm characterized by love. John warns if the church does not REMEMBER, REPENT and DO the things they did at first, its lampstand will be removed from its place. To remove the lampstand indicated loss of position. Like Ephesus loosing its capital position due to earthquakes and silt. We offer private tours of Ephesus with expert tour guides focuses on biblical importance of Ephesus. These private tours visit christian sites in Ephesus like: House of Virgin Mary, Basilica of St. John, Grand Theater of Ephesus, Church of Mary... For more information please do not hesitate to contact us. In the early times of Christianity there were 7 ecumenical councils held. These ecumenical councils shaped Christianity today. In the first ecumenical in Nicea (Todays name Iznik, localted 200 miles north of Ephesus) 4 gospels and 27 books of the new testament decided by bishops coming from different parts of Roman Empire. One of the bishops who attented this ecumenical council was St. Nicholas who we know as Santa Claus. All of the 7 ecumenical councils were held in the western part of Anatolia. 3rd Ecumenical council was held in the church of Mary in Ephesus in 431AD. The main argument which was discussed by the bishops was the nature of Mary. Was she the mother of God? Or Was she the mother of a human being? It is decided to name mary Theotokos (meaning God bearer). In the early times of Christianity, churches were dedicated to people who lives and died in the area. Since Church Mary in Ephesus, is the first church dedicated Virgin Mary in the world, this is another indication in regards of the possibility of Virgin Mary being in Ephesus. Watch Documentary of 7 Churches of Book of Revelation. The tour guide that is filmed is Mr. Denizhan Pekoz, the writer of this web site. Depending on availability you can book Denizhan for your Ephesus or Turkey Tour.